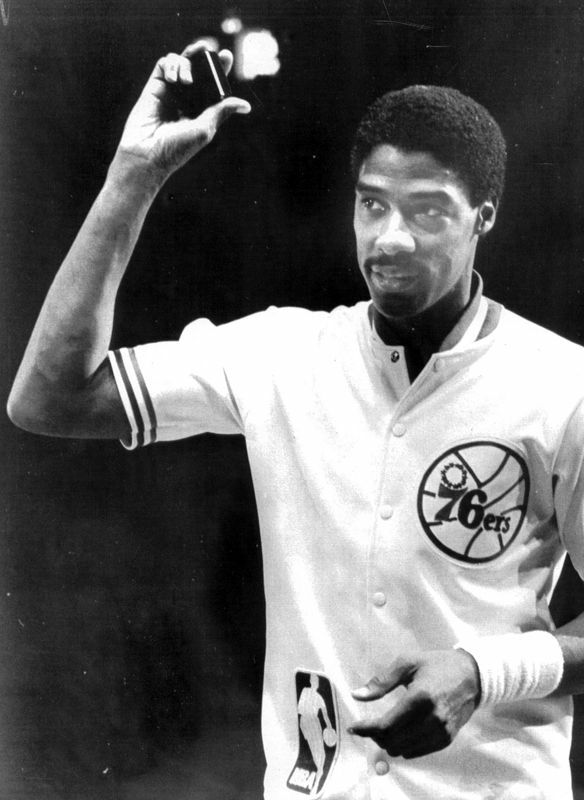 When Julius Erving came to Philadelphia prior to the 1976-77 season, championship expectations abound in the City of Brotherly Love. 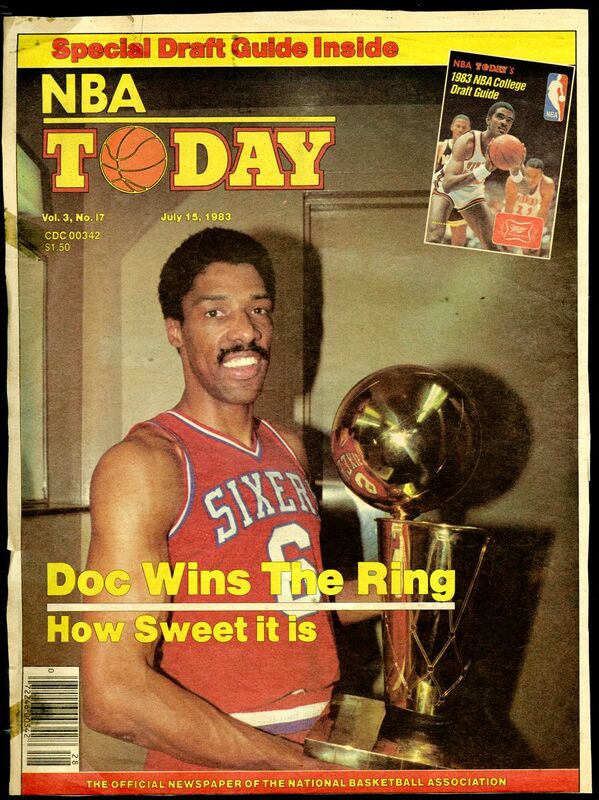 While Philly did make three trips to the NBA Finals in Dr. J's first six years with the team, the title continued to elude them. 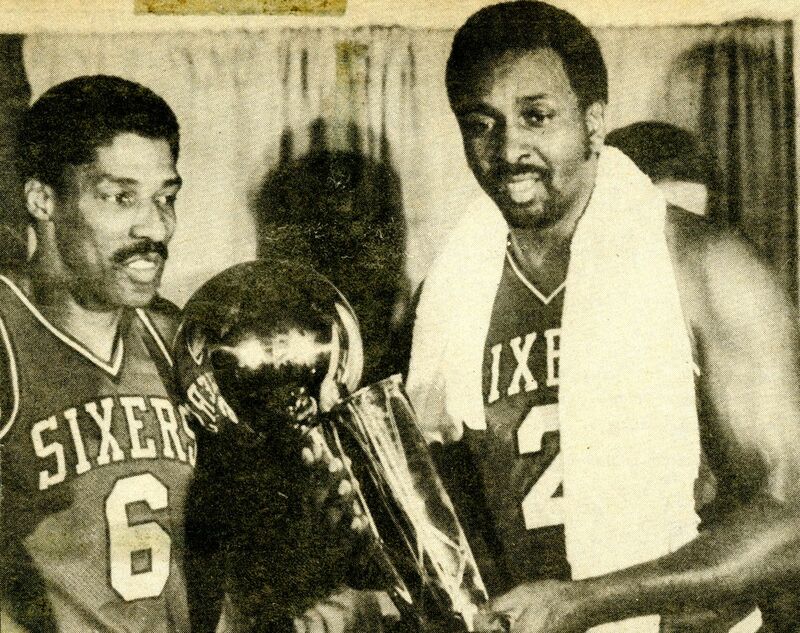 The final piece of the Philadelphia 76ers' championship puzzle was completed before the 1982-83 season when they acquired center Moses Malone from the Houston Rockets. Added to Erving’s masterful all-around game and a solid supporting cast of Cheeks, Toney and Jones, Malone’s dominant inside presence gave renewed promise that Philadelphia would finally be able to get past the Celtics and Lakers. The Sixers lived up to their promise. After winning 65 regular season games, they stormed through the playoffs, first sweeping the New York Knicks, and then beating the Milwaukee Bucks in five games. They proceeded to complete one of the most dominating playoff runs in league history with a four game sweep of the Los Angeles Lakers, who had defeated them the season before. Prior to the start of the playoffs, Moses Malone famously promised fans "Fo', fo', fo" (as in "four, four, four" - four wins to sweep round 1, four wins to sweep round 2, etc. ), but it actually wound up as "Fo', fi', fo." (four, five, four). With 59 seconds to go in Game 4 of the Finals, it was Erving who made a three-point play to hold the lead for good, crushing the Lakers to capture the championship. It was the only title not to be won by either a Celtics or Lakers team between 1980 and 1988. 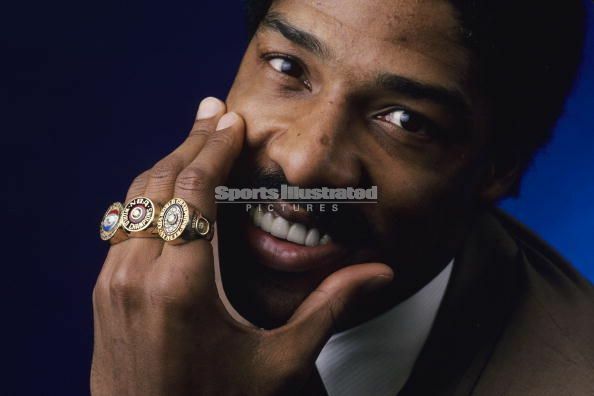 Julius Erving, the heart and soul of the Philadelphia 76ers, received this 1983 NBA Championship ring symbolizing the one and only championship season of his NBA career. 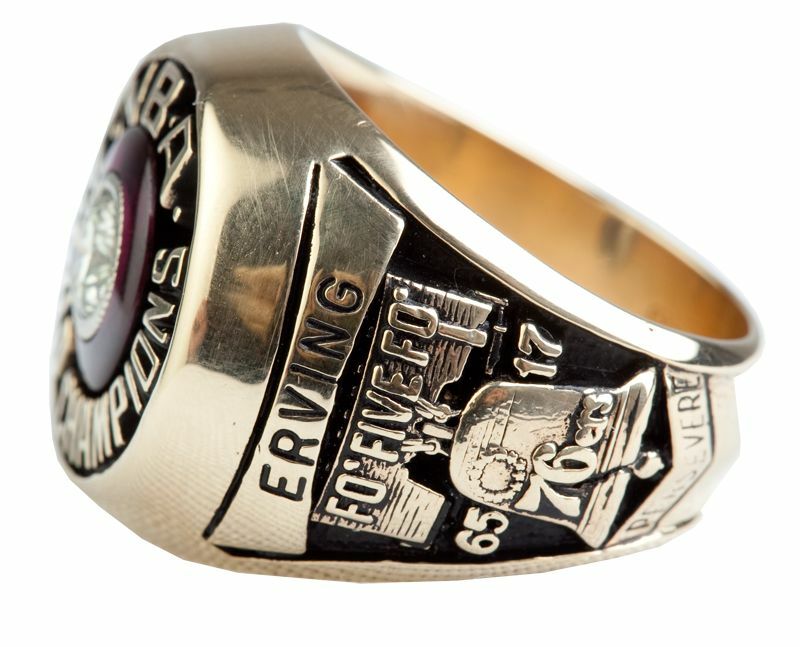 The ring features Erving's name on one shank, bannered above Malone’s famed "Fo’ Five Fo’" prediction atop a rendering of the liberty bell and the word “Persevere” at bottom. On the opposite side is the NBA logo flanked by the year "1983". Around the perimeter of the face appears "N.B.A. 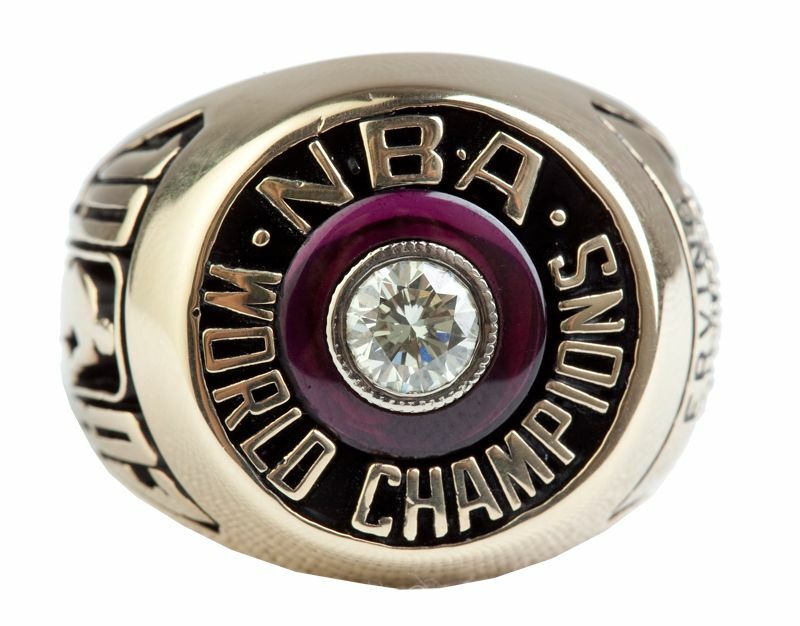 WORLD CHAMPIONS" in raised lettering, encompassing a diamond that sits in the center of a red back stone. Stamped inside the band is “Balfour 14k”. The ring presents beautifully with moderate evidence of having been proudly worn by one of the games greatest legends. 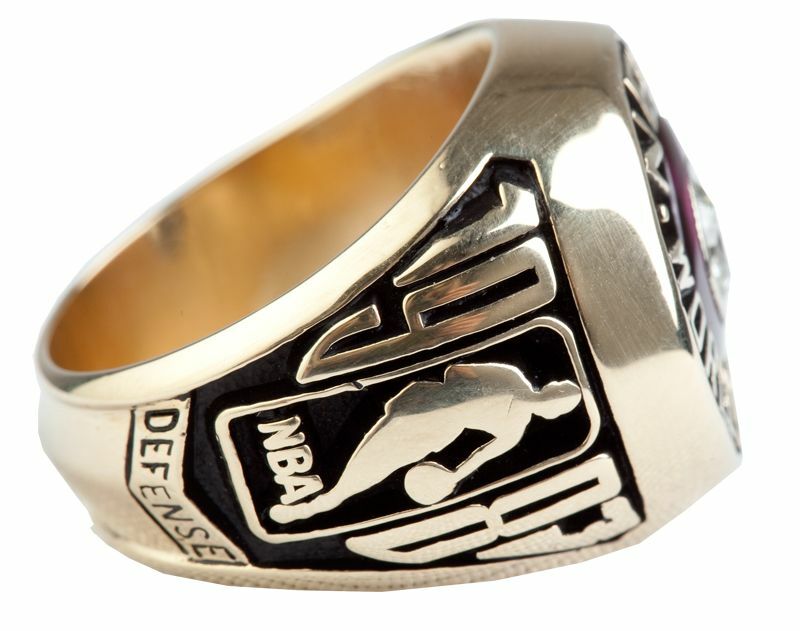 We are unaware of any other basketball championship ring of equal importance that has reached the marketplace. Furthermore, with regard to the stature of Dr. J amongst sports greatest living legends and his immeasurable contributions to his sport, we believe this to be among the most valuable rings ever made available to the public from any sport. Size: 12.